What are ladder binary options? Ladder binary options is defined as an option contract that locks in the call/put position on a underlying asset which price reaches pre-determined rungs or levels on a ladder with potential returns and risk rising with each step-up the ladder. Binary options traders are presented with a range of price levels at equal intervals which look like ladder rungs and are further combined with a variety of expiry choices and put or call options. Ladder binary options is a new contract type that offers a very unique reward/risk profile and is gaining popularity ever since its introduction. Initially introduced by IG markets group, ladder binary options was developed predominantly to meet the needs Japanese regulators with the interest of being fully compliant with the new binary option regulations. Now ladder binary options are offered at most brokerages operating on the SpotOption or MarketsPulse trading platform, it is worth noting that this form of trading is relatively new and is not offered by all binary options brokerages yet. 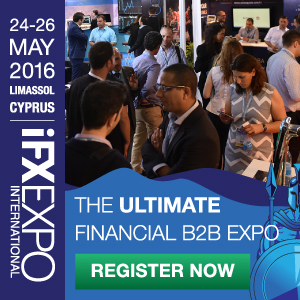 What are the benefits of this trading instrument? First and foremost, because you are allowed to set your own ladder expiry times for each and every rung of the chosen underlying asset, more power in the hands of a trader, allowing you to control your gains and losses in equal measure since you do get to also designate the strike prices. 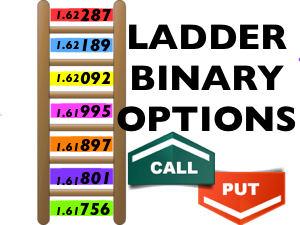 With several positions to choose from, ladder binary options does allow the trader to decide on both the risk and reward he or she is willing to take and unlike other known forms of binary trading, the traders profits are locked in immediately once the market price reaches one of the stated gradients on the graph, irrespective of the change in asset price at a later instance. Even though this trade does have some similarities with the popular one touch binary options, it is also quite different. Ladder options have a distinct advantage in that they can be traded anytime when the markets are open whereas the one touch options are usually available only on weekends. Ladder binary options also have a largest variety of potential return rates, i.e. from 1% payout, the next rung can be 50% and the final rung can be 1500%. There is thus no single long shot payout normally associated with the one touch options. Payouts are determined by a platform provider’s risk management team, who actively asses the risk potential of call /put options on each ladder binary options trade. “Easy” or likely “in-the-money” trades often have low payouts and ladder goals where it is extremely unlikely for a win have insane up to and over insane 1000% payout. The stepped up nature does offer traders some element of measured risks. The first thing you must do before setting out your trades is to choose an expiry time and asset, such as 1330 hrs GMT and EUR/USD ( almost all brokers operate in GMT). 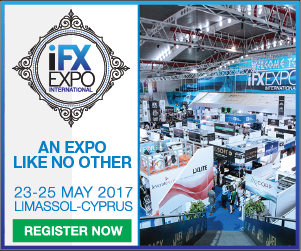 For example, you are interested in executing a EUR/USD ladder binary options trade with your broker of choice (more on that later). For this particular example, lets assume that the EUR/USD is trading at 1.26077 and you want to trade at strike price levels on the ladder at 1.26094 (PUT), 1.26048(CALL) and 1.26002(CALL). It is worth noting at this point that the percentages offered are dependent on the perceived risk of the laid out investment as analyzed by your broker. If you make a ladder trade that is too easy or simple to achieve the payout percentage is going to be small whereas on the other hand if you opt for a ladder trade that’s difficult to achieve then you are going receive much great to rewards but could be making bets that are impossible to win. For this example each of the contracts we enter will be for the minimum amount, which is $25.00. Also like responsible binary options traders we will be making extremely conservative investments where the payout percentage is much lower then riskier positions which can award over 1000% returns. To be successful and have the trade finish “in-the-money”, the EUR/USD has to have a value LESS THAN 1.26094 and MORE THAN 1.26048 at 1330 GMT. If the underlaying assets is between these values by this time you as a trader to get receive a payout and have all three trades finish”in-the-money”. If each position is successful the trader will be awarded three payouts for each of 3 positions. We risked $75 total but the return on the three positions is $94.79. Not bad for just 7 minutes of being at your computer. It is imperative for the trader to do analysis thoroughly on the selected asset so as to ascertain how it will perform over the selected period of time. When do/did the related financial markets open? What is going on in the news? Are there any high impact financial events happening today? These are all important questions a trader should ask themselves prior to executing a ladder or any other type of binary options trades. With proper knowledge a profitable binary options trader can predict the performance of the EUR/USD and enter in many contracts at once with a high margin of success. To increase potential profit while hedging risk there are several strategies that a trader can adopt. By strategically making safe positions like shown above with ladder binary options we were able to take a very risky trade and nearly eliminate half the loss risk. Though you might be saying to yourself “its not worth it to risk 66% more capital”, but when your are trading with higher amounts like $100 or $1000 the increased risk and potential payout is more than worth it. Another one of these trading strategies for ladder binary options trade is the highly popular pivot point strategy. More on that by following the link. There are basically four types of ladder binary options trades, these include; long-term Call, short-term Call, long-term Put and short-term Put. Nearly all platforms do not have a separate panel for short term or long term ladder trades and it is up to the trader to either select a distant expiry time for long term or wait till close to the the nearest expiry time for short term trades. Which ladder type is best for you will depend on the assets available and the time of day. The long-term Call or Put ladder trades are good for assets who do not show clear bullish or bearish market movement on their graphs in the short term. This is usually relevant for assets that are indices or commodities; both these types of assets can be extremely volatile on the short term but clear bullish or bearish trends can be viewed on the long term. See the short term on the left? It is figure to see the market trend. The long term example on the right shows a bearish trend that is much clearer. The short-term Call or Put ladder binary option trade are usually adopted by traders who are anticipating some substantial price movement in both directions within a short period of time. This is best for assets that are in the currency or stocks category. Both of these markets can fluctuate dramatically during the course of a day but on the short term clear market trends can be established. The short-term ladder strategy is good for the trader who is predicting a relatively volatile or big move in the price. This strategy is good for those traders who can handle a high level of risk because only a fraction of percentage point can finish with your trades “out-of-the-money”. No matter which type of ladder binary options trade you pick the ideal situation for this trading instruments is for the underlying asset to have a clear bullish or bearish market trends and limited risk; with high payout trades being favored by those who have a high risk tolerance because the potential for major market movements can be quite substantial.